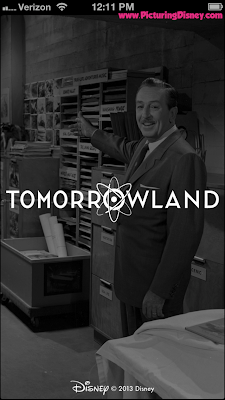 Picturing Disney: Tomorrowland D23 app: a (free) must for every Disney fan! 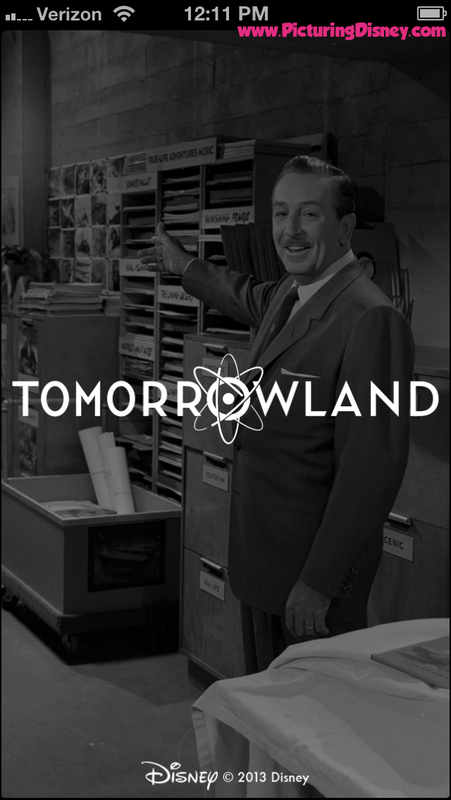 Tomorrowland D23 app: a (free) must for every Disney fan! So you couldn't be at the D23 conference this weekend? Well, the hidden gem I have found only among comments on other blogs is the Tomorrowland D23 app which I believe was coupled with the display presentation you could visit at the conference. This app is free to download and gives detailed descriptions and accounts of various artifacts found within the mythical box Brad Bird has discussed in reference to what inspired the upcoming film. In the app you will get to look at pictures (double click to enlarge), read text, and listen to narratives surrounding the artifacts that inspired the film. Below I made a quick screen shot collage of some of the coolest scenes from the apps. Of course, in my personal eternal optimism I would like to think that this is all real and authentic but I can respect the skepticism surrounding this being movie props and a ploy to draw hype. Either way Disney had my money for movie tickets but I have great fun seeing the pictures, hearing about hoaxes, and even the hidden ride within a ride which was in the original blue prints for It's a Small World (seriously, mind blown on that one)! If you can't get the app because you don't have an iOS device here is my favorite piece, from the last artifact (#13) which was a letter Walt is said to have written which was put in a 1956 time capsule opened in 2006. Titled "Prediction of Entertainment in the World 50 Years From Now" the most beautiful and poignant part comes nearly dead center when Walt says: "Humanity, as history informs us, changes very slowly in character and basic interests. People need play as much as they need toil. They never cease to be fascinated by their own powers and passions, their base or noble emotions, their faiths and struggles and triumphs against handicap-- all the things that make them laugh and week and comfort one another in love and sacrifice out of the deeps of their being."